For many people, the Easter long weekend is a long overdue break from a seemingly never-ending winter and the first signs of Spring. For many students out there, it means that final exams are coming up. And, for some, that means it’s time to ask the obvious question! How Do I Get A Job In Sports?? We have put together a list of books that will help you in your pursuit of landing that dream job in sports. 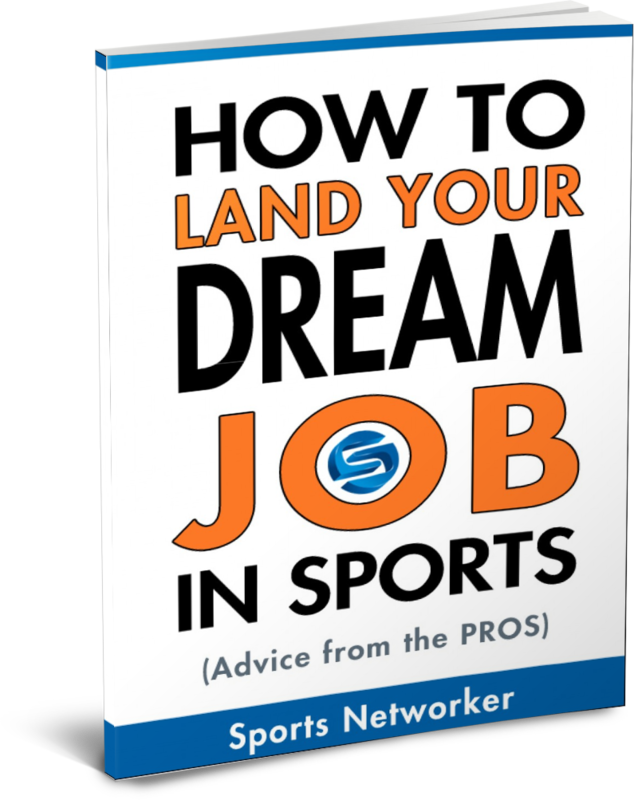 And, of course, if you are looking for a freebie to help get you started on the right foot, make sure to download the Sports Job Guide. [easyazon-image align=”left” asin=”0578044994″ locale=”us” height=”160″ src=”http://ecx.images-amazon.com/images/I/518ZXest6SL._SL160_.jpg” width=”107″] People who are fortunate enough to work in sports get paid to do what many sports fans would do for free. The questions then become: 1) what can a person do to get that dream job in sports, and 2) what makes someone successful once in the job? A Career In Sports: Advice from Sports Business Leaders answers these questions and many more. This book captures advice from 31 sports executives working in areas such as college athletics, pro sports, sponsorship, and player personnel. Their insights are valuable to students and young professionals starting careers in sports and anyone who is looking to make a career change into the sports industry. [easyazon-image align=”left” asin=”1449602037″ locale=”us” height=”160″ src=”http://ecx.images-amazon.com/images/I/51yav5N8yTL._SL160_.jpg” width=”125″]The Comprehensive Guide To Careers In Sports, Second Edition Provides An Overview Of What Students Should Consider And Expect From The Varied Career Options Available To Them In Sports. This Book Answers The Questions Students Are Most Likely To Have, Including What Courses They Should Take, What Areas Are Available To Them, What Salary They Can Expect To Earn After Graduation, And How They Can Get The Job Of Their Dreams. In The Highly Competitive Field Of Sports Management, It Is Important For Individuals To Prepare Themselves Well And To Make The Right Decisions Along The Way. Although There Are No Guarantees Of Success, This Book Will Increase Students’ Likelihood Of Finding Success In The Sports Industry. Encouraging Research And Realistic Expectations, This Book Has Been Developed By An Author With Many Years Of Experience As A Respected Practitioner, Teacher And Internship Coordinator. [easyazon-image align=”left” asin=”0816053537″ locale=”us” height=”160″ src=”http://ecx.images-amazon.com/images/I/31KWjOTCJgL._SL160_.jpg” width=”127″]Managing Your Career in the Sports Industry guides readers through the steps necessary to achieve and sustain a dream career, from assessing your interests and skills, setting goals, planning career actions, and searching for a job to interviewing, entering the field, networking, and thriving in the workplace. [easyazon-image align=”left” asin=”B006AX6ONI” locale=”us” height=”160″ src=”http://ecx.images-amazon.com/images/I/51kUszlyIeL._SL160_.jpg” width=”104″]Mark Cuban shares his wealth of experience and business savvy in his first published book, How to Win at the Sport of Business, available now only as an e-book. Using the greatest material from his popular Blog Maverick, he has collected and updated his postings on business and life to provide a catalog of insider knowledge on what it takes to become a thriving entrepreneur. Cuban tells his own rags-to-riches story of how he went from selling powdered milk and sleeping on friends’ couches to owning his own company and becoming a multi-billion dollar success story. His unconventional yet highly effective ideas on how to build a successful business offer entrepreneurs at any stage of their careers a huge edge over their competitors. [easyazon-image align=”left” asin=”0816077800″ locale=”us” height=”160″ src=”http://ecx.images-amazon.com/images/I/516zvAcNDfL._SL160_.jpg” width=”128″]Seventy-three careers are discussed in a clear and easy-to-understand style. Boxed highlights of the facts in brief and a two-to-three page summary describe the position, the salary, employment prospects, educational requirements, and tips for entry. Lists of colleges, workshops, professional associations, and the media are appended. [easyazon-image align=”left” asin=”0735204020″ locale=”us” height=”160″ src=”http://ecx.images-amazon.com/images/I/51Dlm-kJEfL._SL160_.jpg” width=”107″]Networking requires you to “kiss a lot of frogs” (i.e., meet a lot of people) to find your “princes”-those precious few who can make a difference in your life. But the real secret to networking is discovering what you can do for someone else. Networking guru Darcy Rezac helps redefine networking-his “what can I do for you?” approach has helped thousands overcome their fear of networking and find more success. Rezac uses his trademarked 7-step N.E.T.W.O.R.K. process to help readers avoid the “toads” and make the right connections-in business and in life. [easyazon-image align=”left” asin=”1599183560″ locale=”us” height=”160″ src=”http://ecx.images-amazon.com/images/I/419T9X42g5L._SL160_.jpg” width=”107″]Master the Art of Networking! [easyazon-image align=”left” asin=”0385485468″ locale=”us” height=”160″ src=”http://ecx.images-amazon.com/images/I/51TI3PT%2Bt9L._SL160_.jpg” width=”107″]Bestselling author Harvey Mackay reveals his techniques for the most essential tool in business–networking, the indispensable art of building contacts. Now in paperback, Dig Your Well Before You’re Thirsty is Harvey Mackay’s last word on how to get what you want from the world through networking. For everyone from the sales rep facing a career-making deal to the entrepreneur in search of capital, Dig Your Well explains how meeting these needs should be no more than a few calls away. This shrewdly practical book distills Mackay’s wisdom gleaned from years of “swimming with sharks”. [easyazon-image align=”left” asin=”0814474020″ locale=”us” height=”160″ src=”http://ecx.images-amazon.com/images/I/41ihnP1XkcL._SL160_.jpg” width=”107″]Packed with valuable tools, “Make Your Contacts Count” is a practical, step-by-step guide for creating, cultivating, and capitalizing on networking relationships and opportunities. Readers will discover how to cultivate current contacts, draft a networking plan, avoid the top ten networking turn-offs, and much more. Now completely revised and expanded, this book gives readers all the help they need to supercharge their careers and boost their bottom lines. [easyazon-image align=”left” asin=”1885288417″ locale=”us” height=”160″ src=”http://ecx.images-amazon.com/images/I/51HB5Y4PM5L._SL160_.jpg” width=”124″]When an individual wants to find employment in the sports world, he or she finds that job hunting can be highly specialized. This book shows resumes and cover letters used by people such as a high school coach, tennis professional, golf professional, teaching pros in all sports, and many others. College graduates with degrees in Physical Education also are included, and many of them found their way into teaching positions. If you want to work in sports marketing but have no experience, you will find helpful examples of resumes and cover letters which were used by real people to launch their careers with major sports teams. Those who have worked in the sports industry and want to transition out of the field will also find helpful examples of resumes and cover letters. Whether you are a teaching professional, player, marketing professional, or other sports industry professional, you will find useful examples of resumes and cover letters in this book. [easyazon-image align=”left” asin=”0814417620″ locale=”us” height=”160″ src=”http://ecx.images-amazon.com/images/I/51o4bodjZ7L._SL160_.jpg” width=”128″]What does Tony Beshara do that most resume ‘experts’ don’t? While the experts write resumes all day, Tony the veteran placement specialist featured regularly on the Dr. Phil show actually uses them to get people jobs. With “Unbeatable Resumes”, Tony dissects and discusses real-life resumes for jobs in a wide range of industries from healthcare to banking, construction to technology, administration to sales and marketing, and more. The book shows readers how to build a powerful resume, utilize keywords effectively, use gaps and job changes to their advantage, and pair their resumes with concise, dynamic cover letters. He complements his expertise (he has personally placed more than 8,500 professionals) with the results of a survey of more than 3,000 managers, executives, HR specialists, and other hiring authorities about what gets resumes read, interviews granted, and jobs offered. Readers will learn: the critical components of well-written resume; how to ensure their resume actually gets read…by the right people; what employers look for, and what turns them off; how to customize a resume for a particular job; and, the truth about video resumes, job-search websites, and social networking sites like FaceBook, LinkedIn, and MySpace. “Unbeatable Resumes” shows job seekers of all types how to present themselves in the best possible light, for the best possible position. [easyazon-image align=”left” asin=”1593577338″ locale=”us” height=”160″ src=”http://ecx.images-amazon.com/images/I/51jO6Zqn0KL._SL160_.jpg” width=”124″]Resume Magic is a giant compendium of advice and before-and-after resume transformations explains resume creation and illustrates professional techniques with actual examples that show why the techniques work. [easyazon-image align=”left” asin=”0986968234″ locale=”us” height=”160″ src=”http://ecx.images-amazon.com/images/I/51CNy1uGoiL._SL160_.jpg” width=”104″]In our current economic conditions, job hunters are struggling to attain the ‘perfect’ job. The Internet has made job hunting easier, but has made getting the job actually harder. It’s so easy to apply for jobs today that employers are overwhelmed, often receiving thousands of applications per job opening. Somehow, you have to make sure your application rises to the top of this pile. How? Through your résumé – it’s the single most powerful marketing tool you have to showcase your skills and accomplishments. That’s what this book is all about. It shows you how to create the best résumé for you and the job you are applying for. There are chapters on the different résumé formats and how to choose the appropriate one for your situation. There’s a chapter showing you what belongs in each section of the resume and there’s even a chapter on how to showcase your skills in the most powerful way. There is a section on mistakes to avoid and tips for dealing with any problematic areas. Underqualified? Overqualified? Each of these issues and many more are addressed in this book, as is a rarely discussed security issue from posting your resume all over the Internet. There is also a chapter on the power of words that will help you to maximize your writing to make your résumé the most powerful selling tool possible. Even better all this information is presented in a straightforward style that makes this book easy to read and the instructions even easier to follow. Isn’t it time you seek out the next step in your life? [easyazon-image align=”left” asin=”1593578563″ locale=”us” height=”160″ src=”http://ecx.images-amazon.com/images/I/51QqL0rNasL._SL160_.jpg” width=”128″]Americas leading job search and career guidance expert presents his definitive guide to resumes, offering well-researched and proven techniques; a friendly, easy-to-follow design; and rock-solid advice to create outstanding resumes and, more importantly, use them effectively. The very easy-to-use first section of the book shows how to create a basic resume in about an hour and an improved resume in about half a day. The new edition includes more than 90 sample resumes written by professional resume writers for all types of jobs and people. The book also provides excellent career counseling sections to help people define their ideal job then go out and get it. This book can help anyone find a job from high school graduates to high-level professionals. [easyazon-image align=”left” asin=”098233320X” locale=”us” height=”160″ src=”http://ecx.images-amazon.com/images/I/41WC20LoymL._SL160_.jpg” width=”107″] Are you looking to parlay the whole online social networking thing into greater success? LinkedIn Works … It actually works incredibly well. For those who know how to harness the power of this Internet phenomenon, it opens the door to amazing opportunities, a world of new contacts and a plethora of potential success.If you want to take advantage of LinkedIn there are no secrets … no tricks … no magic. The key is to simply approach this online experience in the same manner as you network in the real world. In LinkedWorking, a networking expert and a LinkedIn guru join forces to show you how you can … Position yourself on LinkedIn to capitalize on extraordinary opportunities … Identify connections in LinkedIn that will generate remarkable additional contacts for you … Undertake certain actions on LinkedIn that creates unparalleled success for you … and Gain so much more from your LinkedIn experience … all by simply practicing the same networking habits you use in your everyday life. LinkedWorking … it will revolutionize how you network online. [easyazon-image align=”left” asin=”1608320936″ locale=”us” height=”160″ src=”http://ecx.images-amazon.com/images/I/41BjxwZP5NL._SL160_.jpg” width=”104″]This simple, user-friendly guide explains how you can access the full power of LinkedIn–including advice on making lasting business connections, building a unique personal brand, and generating significant business opportunities. Are you at a social-media disadvantage if you entered the business world before the rise of Facebook? Wayne Breitbarth argues that the opposite is true when it comes to LinkedIn: your experience and connections as a seasoned professional give you a leg up in harnessing the benefits of LinkedIn. You have already done a lot of the networking groundwork, and LinkedIn can extend your reach even further with minimal time each week. [easyazon-image align=”left” asin=”1118019091″ locale=”us” height=”160″ src=”http://ecx.images-amazon.com/images/I/510kyg7xqZL._SL160_.jpg” width=”107″]This new Third Edition features the latest job-hunting strategies for the Information Age. You’ll discover key techniques to reach hiring managers at the employers you want to work for most. New chapters integrate using social media and social networking tools like Facebook, Twitter, LinkedIn, and ZoomInfo in your job search, along with case studies from successful guerrilla job hunters that detail what works in today’s hyper competitive job market with commentary from America’s top recruiters. [easyazon-image align=”left” asin=”1576857824″ locale=”us” height=”160″ src=”http://ecx.images-amazon.com/images/I/51JaXZYsbUL._SL160_.jpg” width=”107″]Social media is a powerful, mandatory tool for the job world, and career expert Miriam Salpeter illustrates its fullest potential with this one-stop resource. Learn how to create and promote an online brand and make yourself indispensable in your field. Information on how you can create an effective, compelling online presence; advice from successful professionals on how social networking can propel your career; the ins and outs of social networking sites (LinkedIn, Twitter, Facebook, Quora, and many more), from the basics to the advanced features; tips for creating and maintaining a blog that will establish you as an expert in your field; and much more. [easyazon-image align=”left” asin=”1600051707″ locale=”us” height=”160″ src=”http://ecx.images-amazon.com/images/I/41IBOM3mLNL._SL160_.jpg” width=”106″]In the book, ‘I’m in a Job Search–Now What?? ?’ you will have a step-by-step guide for the job searching process. The book not only covers job searching strategies, but additionally gives information on how to be in a continuous process of career management. No longer are people climbing ladders in employment. Instead, they are on a ramp and need to constantly make strides to progress and maintain their position. What Is Personal Branding? How to Create a Memorable & Powerful Brand that Sells YOU! Learn about all about Appearance, Personal Branding, Responsibility, Brand Names, Social Media & Much More! 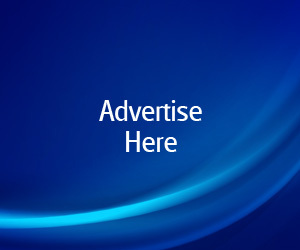 Are you interested in having a successful personal branding campaign both online as well as offline? Do you want to further your professional career and promote the positive image of success? “What is Personal Branding?” by acclaimed marketing writers Jim F. Kukral and Murray Newlands is the definitive personal branding how-to. Learn from their years of insider experience so that you too can reach success. [easyazon-image align=”left” asin=”1857885457″ locale=”us” height=”160″ src=”http://ecx.images-amazon.com/images/I/41lQnQjj2bL._SL160_.jpg” width=”107″]Today’s hottest business concept meets the realities of the modern workplace. You Are a Brand! delivers 10 key personal brand strategies that aren’t taught in business school-or anywhere else. Like a personal branding coach right by your side, Catherine Kaputa reveals the inside secrets of Madison Avenue product branding and applies these tried-and-true principles and techniques to a dynamic new strategic branding process for individuals. You Are a Brand! highlights the self branding odysseys of savvy professionals who have repositioned their experience and talents in pursuit of the corner office and budding entrepreneurs launching their own business ventures-all from the personal brand strategist and executive coach who helped them achieve their success. [easyazon-image align=”left” asin=”0789747278″ locale=”us” height=”160″ src=”http://ecx.images-amazon.com/images/I/417ondwEJ0L._SL160_.jpg” width=”104″]Use Social Media to Build a Great Personal Brand–and a Great Career! Need to demonstrate more value to customers or employers? Want a new job or career? Use social media to build the powerful personal brand that gets you what you want! In Branding Yourself, two leading social media consultants show how to use today’s social media platforms to attract new business and job opportunities you’ll never find any other way. Erik Deckers and Kyle Lacy show you how to supercharge all your business and personal relationships…demonstrate that you are the best solution to employers’ or partners’ toughest problems…become a recognized thought leader…and translate your online network into great jobs, great projects, and a great career! [easyazon-image align=”left” asin=”0595484816″ locale=”us” height=”160″ src=”http://ecx.images-amazon.com/images/I/41ThbxhyLTL._SL160_.jpg” width=”104″]Are you an employee stuck in a career rut? Are you a student looking to get the right start? Or do you just want to create a better you? In The 10Ks of Personal Branding, author Kaplan Mobray offers ten must-know insights to building your personal brand. In this inspiring guide, learn how to focus your life’s goals with your life’s actions to create a powerful package called “you.” Filled with easy-to-follow instructions and valuable tips on developing your personal brand, this guide explains the10Ks of personal branding. Are there any other books that have helped you in your pursuit to land a job in sports? Let us know in the comments below or send us a tweet! site as well as user security. Do you locate a great deal of damaged English comments being left on your blog?